It is about time for the Geneva French Market to start again. 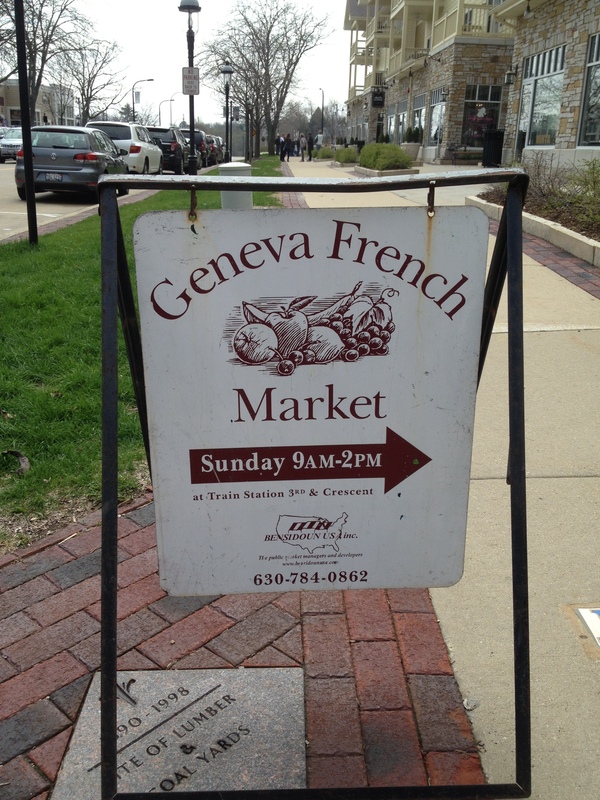 If you don’t know, every Sunday from 8am until 2pm, the Geneva French Market is open in the the NW corner of the parking lot of the Geneva train station on 4th, and South Streets. The French Market is a collection of local and regional businesses that sell fresh produce, meats, cheese, bread, crafts, and many other things. Much of the produce and meat is grown organically on Illinois farms. One of the farms that is always at the Geneva French Market is Windy Acres which you can find on Fabyan west of the Walmart. My family makes it to the French Market several times a month. We usually buy produce that we will use for part of the week there. 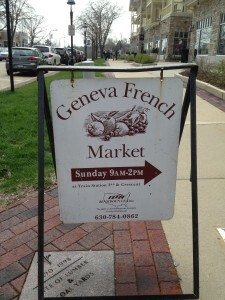 For us, going to the Geneva French Market becomes a fun Sunday morning outing for the family. While there might be bigger outdoor markets in the area, my family thinks the Geneva French Market is one of the best. The Geneva French Market starts on April 27 and runs until November 2.